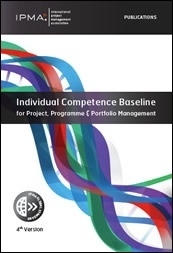 IPMA's Individual Competence Baseline (ICB4) reflects three groups of competence elements that are essential for project and program success: 1. Perspective, 2. People, and 3. Practice. This self-assessment is for your use, for learning and development purposes, in evaluating your Perspective knowledge foundation against the latest IPMA Individual Competence Baseline. Be sure to return to our PM-Self Assessment Tool page to evaluate the two other sets of competence elements. Assess your level for each project management competence criterion below. Then, work to improve any areas of weaknesses, or prepare to apply for IPMA-USA's advanced project manager certifications. 1. For each of the PM competence elements and criteria below, select the option button for the rating that best describes your level of demonstrated grasp, or application. 2. After evaluating all competences, review your results, and the recommendation for next steps. 3. Record your percentage scores for each group of elements; note that the percentage is based on a minimum expected score of 2 for each item on the the Bloom's Taxonomy scale. 0. None; no or little exposure to the Element or Key Competence Indicator. 1. Remember: Retrieve relevant knowledge from long-term memory. 2. Understand: Construct meaning from messages, including oral, written and graphic communication. 3. Apply; Carry out or use a topic or activity in a given situation. 4. Analyze: Break material into parts and determine how the parts relate to each other, and an overall purpose. 5. (Not included in this self-assessment) Evaluate: Make judgements based on criteria and standards. 6. (Not included in this self-assessment) Create: Put elements together to form a coherent whole; reorganize into a new pattern or structure. When you finish scoring, record your name in the space provided below, then press the Print This Page button to print this worksheet. These results are not saved. PM-SAT is based on the IPMA Individual Competence Baseline, 4th Edition. Used with permission.